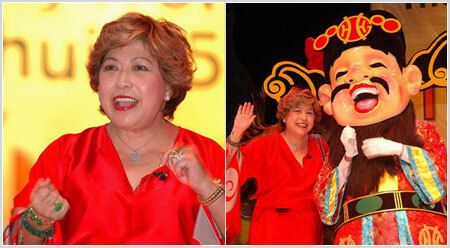 On the third Sunday in January, Lillian Too continued her marathon presentation on feng shui updates required for the coming year of the wood rooster 2005, this time speaking in the vast Arena of stars at the popular Genting Highlands resort, an hours drive out of Kuala Lumpur. 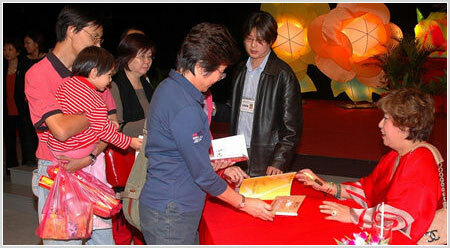 Once again this internationally renowned feng shui writer charmed an audience of over two thousand people with her witty and entertaining tales on how feng shui can be used to suppress all the afflictions brought by time changes in chi - afflictions such as misfortunes, illness, loss, burglary and other aggravating consequences - using the compass formulas of feng shui and the placement of powerful symbols in the correct way and in the correct corners of one's homes. 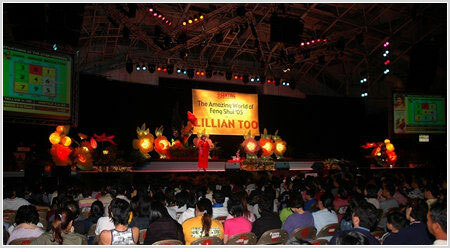 Lillian's next stop will in LOS ANGELES in the first week of March ... where she will present Feng Shui Extravaganza 2005 at the Los Angeles Airport Hilton Hotel.